If you think the threat to honeybees is something that is only happening in the United States, you would be sadly mistaken. Bees all around the world are finding themselves in danger, but people are coming together in an effort to help them. 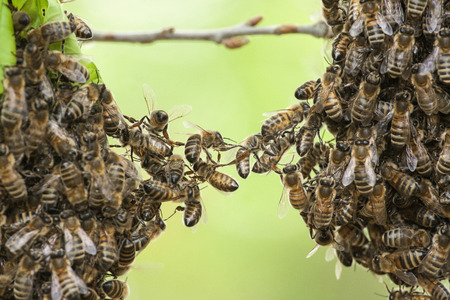 While many professionals in the industry are trying to figure out what is creating the colony collapse disorder problems, other areas of the world are having problems due to the changing climate issues. One such case is Arab beekeepers trying to figure out the problem of keeping their bees alive in extreme heat. Mohammed Saeed, a resident of southwest Yemen, stated, “The weather’s not good and the bees are dying with the heat. Cold is good for bees and it’s gotten hot.” Saeed says he has been collecting honey in the area for almost a decade and he has never seen anything like he has recently. While the weather is creating a problem for the bees, so are other invasive species that are arriving in the area. Coupled with killer fungi, parasitic mites, and habitat degradation, bees are starting to disappear in alarming numbers. With these problems, Arab beekeepers are tying to unite so they can address these issues both among themselves as well as with their government. This month, they are expected to launch the Arab Beekeepers Co-operative Association in Abu Dhabi. The idea has been well received, with roughly 2,000 scientists and beekeepers already signing up for membership for the co-op. Whereas the first attempt at creating an organization like this failed miserably, this time around it has much more support among the community as well as with the government. Just as we are fighting issues here in the states with certain pesticides, the Arabs are having problems with a very popular pesticide as well. For them, it is pesticides used to protect khat, which is a narcotic shrub. A second challenge the new organization will address is the importing of bees. With the business of beekeeping growing by leaps and bounds, beekeepers are starting to import bees. The problem is the imported bees are not playing nicely with the local bees and are actually attacking them. The region hopes to get to the point where they are not only producing honey, but also local bees again. Hopefully, the new association will be able to address these challenges and help both the local bee population and honey industry flourish. Alien Honeybee Colonies Could Result in Plant Extinction Can Cats Eat Raw Honey?